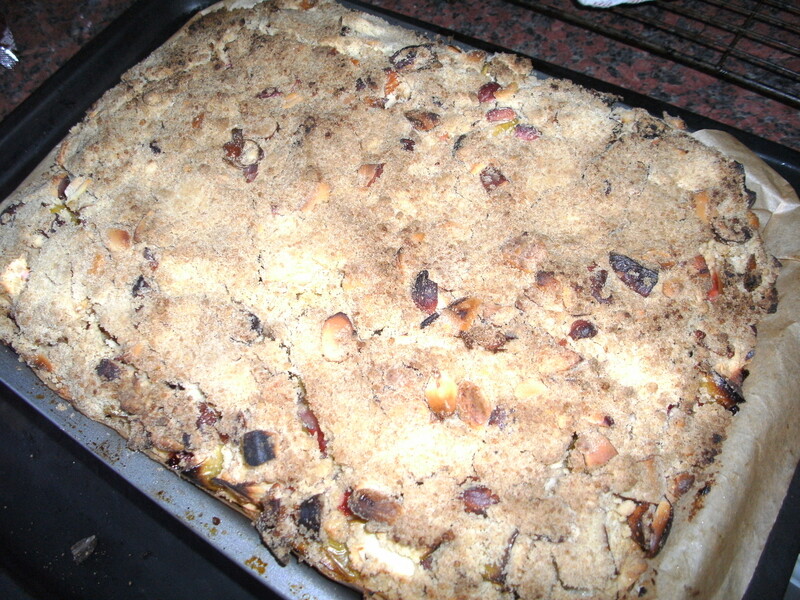 I came across this recipe on goodtoknow.co.uk, it’s actually a recipe for apple and berry crumble cake, I changed it a little bit because I don’t like blackberries, but pretty much everything else is as it said on the website. You can choose whatever fruit you want really, but I thought the strawberries were super tasty and would definitely recommend keeping them in! 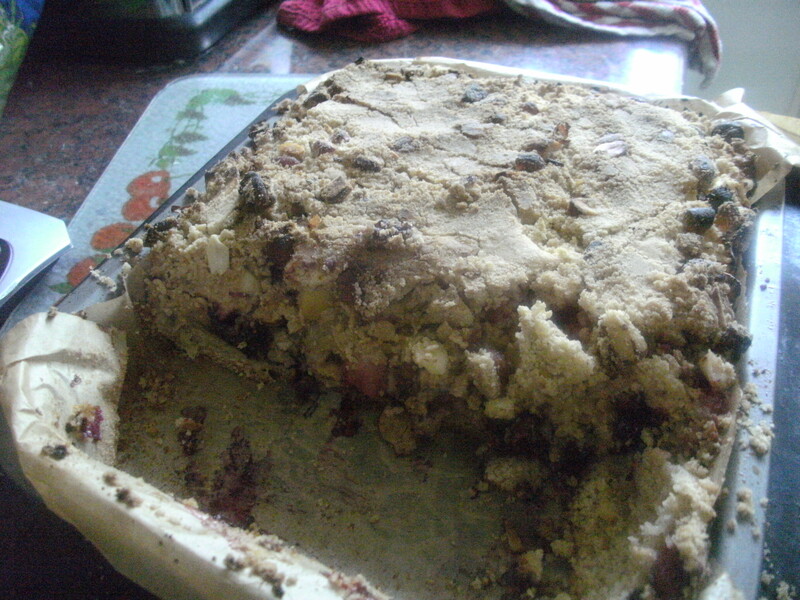 I was really excited to try this one because it’s got all the best things ever in it – crumble, fruit and cake. Beautiful. 1. Preheat the oven to 190C/gas 5. 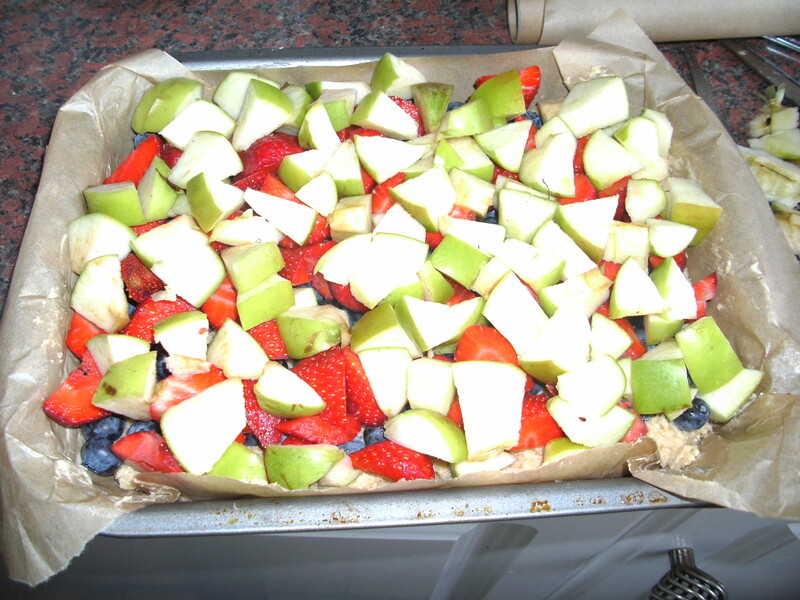 Put a baking sheet in the oven to heat up, and grease and line a 20x24cm baking tin. 2. Mix the flour and cinnamon together, then add the butter and rub it into breadcrumbs with your fingers. 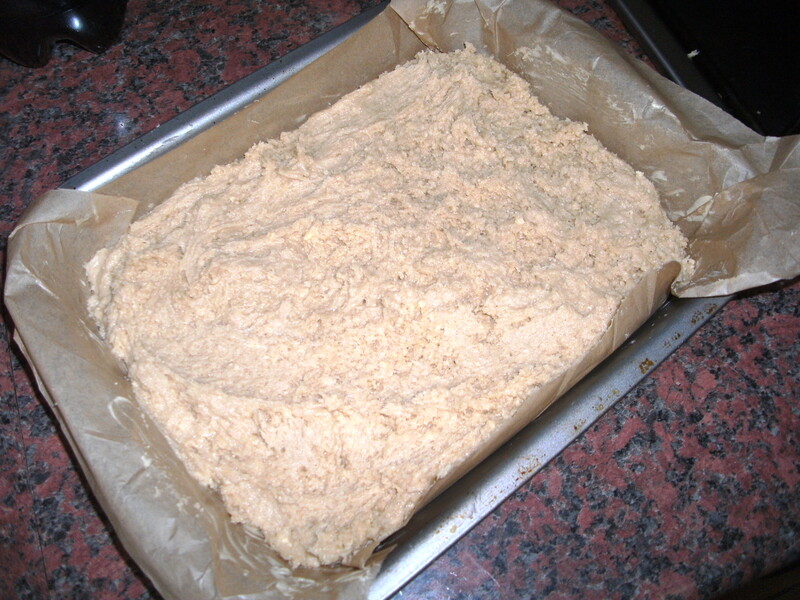 Remove 175g of the mixture and put that in a separate bowl and leave it on the side. 3. Stir the caster sugar and eggs into the larger bowl of mixture, to make a nice sticky dough – pop that into your lined baking tin and press it down evenly with your hands (you might want to put flour on them because it is REALLY sticky). 4. Now start layering your fruit over it. 5. 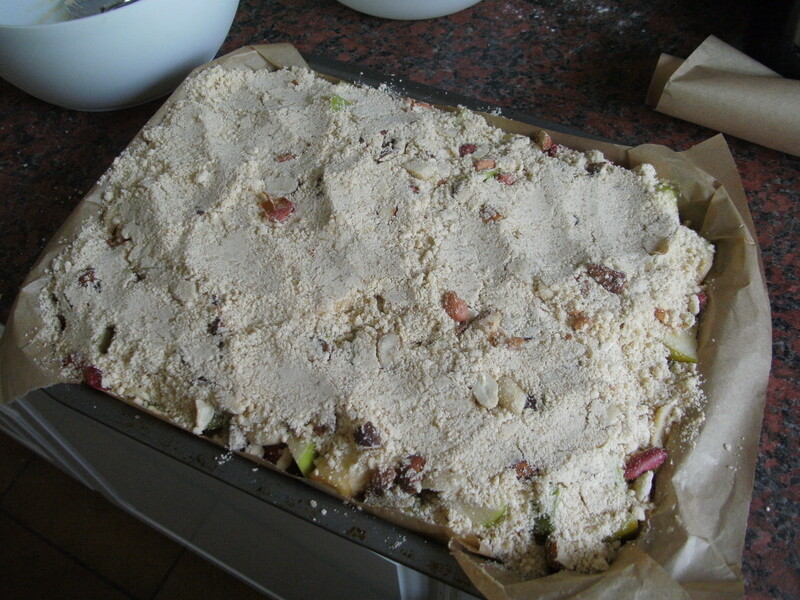 Stir the demerara sugar and chopped nuts into the other mixture you left on the side, then sprinkle that over the top of the fruit and press it down firmly. 6. Then put your baking tin on the hot baking tray you left in the oven, and bake it for 35-35 minutes (after it’s been it about 20 minutes, pop some foil loosely over the top of the tin for the rest of the baking time). So there you have it! A beautiful dessert that’s cakey on the bottom, fruity in the middle and crumbly on top. And SO easy to make! Couldn’t be simpler, I’ll definitely be using this recipe again!